It appears that America is coming apart at the seams. Routine school shootings, the reemergence of overt racism, anti-government paranoia on the rise, exaggerated threats of germs and terrorists lurking around every corner, government indifference to the hollowing out of the middle class, military tactics employed by officers of the peace—signs of societal disintegration are everywhere. And now we have witnessed the murder of two journalists on live TV and must endure the relentless exploitative media coverage that inevitably follows. While it is true that there always will be social unrest and all manner of cultural crises, the current state of affairs strikes many as beyond the ordinary—and I must cautiously cast my vote in agreement. Is the sky falling? Maybe, maybe not, but there is a deep sickness beginning to take hold of the American psyche that threatens to undermine the principles that have long held the democratic experiment together. Although there are a variety of legitimate perspectives concerning this dilemma, I will propose my analysis of the psychiatric state of the American mind, an analysis that is largely colored by my vantage point as a holistic physician with a conventional medical educational background. One hopes that this time in history, like the sixties social revolution, is just another growth spurt of the American psyche. One hopes that the country's growing pains will eventually lead to a more mature national perspective, one that is tolerant of ethnic, sexual, and religious diversity, and one that rediscovers the importance of giving the common good the renewed emphasis that it so desperately needs. But there are destructive forces at play that pose a significant threat to our way of life. There are a number of factors contributing to the gradual disintegration of the American character. They are, in no particular order, materialism, corporatism, consumerism, war, violence, and the modern scientific worldview (in particular, the lack of basic human values and the shortsighted form of medicine that this worldview has spawned). The common denominators that drive all of these factors are those instincts for survival that kick in when one feels one's security threatened, fear and greed. Is it a simple matter, therefore, of reaffirming kindness, civility, and respect for others as our guiding principles? I think not, because the forces at play run deep and they have altered both the collective American psyche and individual psyches in ways that are beyond the control of many. Kindness certainly goes a long way, but it is likely to have little effect on the narcissistic personality. So, let's examine some of the forces that I allude to, forces that are stunting the maturation of the collective American character. Broadly speaking, we can characterize the fear that eats at the Western mind in medical terms, as having both acute and chronic maintaining factors. The source of the more immediate of the two—acute fear—should be evident to most thoughtful persons. It is hard to ignore the tsunami of violence that permeates American culture. Recent headlines announced that 2015 has just marked the 204th mass shooting in the past 204 days. (1) We are a society at perpetual war, with military forces stationed all over the globe to protect our "strategic interests." Most justify it in their minds as the price we pay for freedom and peace. When the blowback comes, it reinforces our projections of "them" as the enemies of peace. As the cycle of war and violence escalates, we up the ante, convinced that more gun ownership and increased military spending will protect us from harm. The consequence of so much violence is a culture that reflects that violence in its news reporting, with each fresh trauma, large and small, voyeuristically revisited ad nauseam by infotainment talking heads. It is also reflected in the recreational options that we choose, provided to us by an unapologetically exploitative media. Movies, TV programming, and video games expose us to unprecedented violent content that we seem more than willing to accept. Denying the linkage between war, recreational violence, and mental illness is just further evidence of how sick our society has become. It is fair to say that America is collectively exhibiting all the signs of a full-blown case of PTSD (post-traumatic stress disorder). (2) (3) Once in the grips of PTSD, its victims tend to perceive threats where there are none, threats that elicit varying intensities of two primary responses, fear and aggression. Our uniquely American strain of PTSD manifests as a distinct fear of outsiders, invaders from beyond our borders, people who are different from us. I suspect that this has much to do with our unique geographic state of security, with vast oceans to the east and west, and a benign Canadian frontier to the north. There seems to be a direct proportionality between the intensity of the perceived threat that we experience and the degree of comfort and safety that we enjoy here at home. Although we remain safely ensconced thousands of miles from the nearest conflict, protected by our heroic men and women in arms, we have been unable to escape the karmic repercussions. When not killed in action, those soldiers eventually come home, where they are left to sink or swim by a society that neglects their needs while insulating itself from the true realities of war. We treat war like a video game that, like a drone, can be controlled remotely, far from the damage that it inflicts. While many remain emotionally, morally, and politically detached from the ravages of war, military families and their friends are left to witness the torment of their loved ones, thousands of whom have been maimed physically, psychologically, and spiritually. When reality and rhetoric come face to face, the untold millions of prescriptions of sedatives, antidepressants, and painkillers designed to pacify the American mind are no longer sufficient to suppress the clamor of the resulting cognitive dissonance. Something must inevitably give. It is an ironclad rule of the psyche that there is no free lunch; sooner or later, a price must be paid for self-deception. When it all begins to hit home, we react like entitled adolescents looking to scapegoat the nearest, most convenient target. Shocked by the events that have unfolded, we deny personal responsibility and demand instant accountability. How could this have happened? Heads must roll! The reaction is exponentially worse when the trauma takes place in the "homeland" (this is one of those Orwellian terms that smacks of totalitarian culture, one that few Americans seem to object to). "Shock and awe" was merely the initial salvo of our prolonged and aggrieved response to 9-11. More than a decade later, we sit amidst the ruins of a decimated economy, perplexed and dissatisfied by the repercussions of our misguided efforts. Left in the wake of our quest for vengeance is an enormous gulf between the "one percent" and all the rest. This only compounds the vicious cycle as the desperation of those who can't pay their bills, have no health care, and have lost their homes increases as the rich get richer. It would be naïve not to expect fear and aggression on the part of those left behind by the rapacious corporatocracy. With each new traumatic event, America's fight or flight response is reactivated and reinforced. It is the nature of PTSD. The civilian soldier reacts to the police siren as if he is taking enemy fire, unable for a brief moment to discern the difference between the two. A "patriot" with an arsenal of weapons is convinced that the mosque down the street is a sign of the "end of times." The twenty-four hour terror news cycle has changed many Americans' perception of reality. I've seen them in my medical office. Some are too afraid to fly anymore. Others are angry and harbor a number of irrational conspiracy theories that would never have occurred to them prior to 9-11. On both individual and collective levels, America's PTSD is very real. It has reached the point where it is beyond socio-political remediation. It has, in my opinion, become an urgent medical problem—one that is only compounded by the wholesale pharmaceutical anesthetization of unhappy minds. This brings us to the "chronic maintaining factor" that I alluded to earlier. That factor is suppression (4). Suppression is a poorly understood phenomenon mainly because it is a taboo subject in conventional scientific and medical circles. It is, however, of great interest to persons of a holistic mindset. Whereas acute fear is usually an episodic phenomenon, symptom suppression is an ongoing influence that both produces and maintains a great deal of chronic illness, especially psychiatric illness. Allow me to explain. The conventional medical approach to illness is a simplistic one that blindly sets out to arrest or extinguish symptoms without regard for the longer-term consequences. We are encouraged, for example, to take painkillers for headaches, antihistamines to thwart allergy symptoms, antipyretics to lower fevers, and anti-inflammatory medications to combat arthritis, even though such measures may ultimately diminish long-term health. As long as short-term symptomatic relief is achieved, physicians are able to insulate themselves from the medical fallout that the suppression of symptoms creates. And the general public usually follows suit, rarely realizing the connection between suppressive drugs and subsequent medical conditions that may arise. When new symptoms do occur, they are either downplayed as unavoidable side-effects or simply assumed to be unrelated problems that have no connection to prior medical conditions or prior medical treatments. Thus, they become nothing more than opportunities for further medical treatment. It's a great way of creating a revolving door of repeat customers. From a holistic perspective, all of a person's symptoms, health problems, and medical history are understood from the outset to be inextricably connected, because they are, after all, happening to, or have happened to, the same individual. A symptom is not just a random occurrence; it has a purpose that we sometimes understand, like a fever generated by the immune system to combat a viral illness. Although we have limited knowledge of the true role that many symptoms play, they are all produced by a life force that acts in its best interests to maintain homeostasis and to restore health to the human organism. The self-healing capacity of the mind-body far exceeds the limited abilities of conventional medical treatments to do the same. That is why most people recover, with or without treatment, from the vast majority of acute illnesses like colds, flus, other viral illnesses, coughs, cuts, bruises, headaches, and so on. Holistic medicine acknowledges this self-healing capacity and seeks to maximize its effectiveness, in lieu of symptom suppression. It endeavors to work in synchrony with the life force by methods that do not interfere with the natural healing process. Of course, sometimes suppressive measures are necessary, like when a person in an asthmatic crisis can't breathe. Thankfully, conventional medical treatment can open airways. However, it does not have the ability to heal a person's asthma. Its only options are to suppress it or maintain it in a manageable state on a prolonged basis. Holistic medicine also recognizes a fundamental and obvious truth that conventional medicine purposely goes out of its way to ignore—and that is the powerful relationship that exists between mind and body. Any drug or surgical intervention aimed at the physical body, by definition, also impacts the mental-emotional plane by virtue of the fact that mind, body, and spirit constitute one seamless whole. To believe that this is not true is to embrace the mistaken metaphysical beliefs that define the materialist scientific worldview and, by extension, the conventional medical perspective. 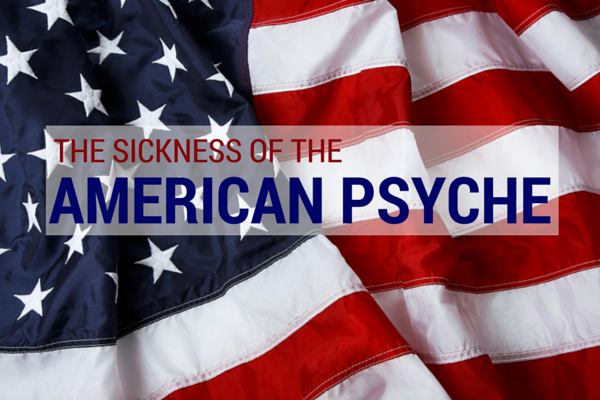 In Part 2 of this installment, I will discuss in greater detail how the suppressive measures employed by conventional medicine have contributed to an explosion of mental illness in our rapidly deteriorating culture. I would like to return now to the topic of medical suppression that I began to discuss in Part 1 of this article. If mind, body, and spirit constitute one seamless whole, then whatever impacts one of those aspects has an impact on all aspects. When the life force generates symptoms as a coping mechanism, which are then routinely suppressed by a variety of increasingly powerful pharmaceutical substances, are we not depriving the body of its self-healing capacity? Now we come to the crux of the matter. When symptoms are suppressed, where do they go? Do they just disappear into thin air? Or is there a price to be paid? Vitalism is a holistic theory rejected long ago by material medicine that holds that each living organism is organized and maintained by a life force, or vital force. Without the innate wisdom of the life force, the primary purpose of which is to maintain homeostasis, there would be no self-healing capacity at all. Without the guiding intelligence of the vital force the human body would just be a disorganized amalgamation of protoplasm and cells that would quickly dissolve into entropic chaos. Holistic theory posits that, when suppression takes place, the vital force simply takes the energy that went into the creation of the original symptoms and redirects that energy into the creation of new symptoms. Those new symptoms can appear the next day, the next month, or even a year later. The original symptoms represent the most efficient means of self-healing available to the life force. When suppressive measures deprive it of that choice, the life force must seek a less advantageous method of self-defense. The new, less advantageous symptoms are a reflection of the resulting greater vulnerability of the organism. As a result, the new symptoms often pose a more serious threat to the person than the originally suppressed symptoms. When a child's diaper rash is forcibly suppressed with a steroid cream, it should surprise no one when the same child subsequently becomes irritable and develops an ear infection. Have you ever known someone whose warts were frozen off with liquid nitrogen only to have multiple new warts erupt at a nearby location? How about the person whose cortisone shot brings great relief to his shoulder pain, only to have the pain manifest a month later as never-before-experienced pain in the opposite shoulder? Stories of this nature are legion but medicine manages to downplay their significance by defining them as new, unrelated problems that require new treatment. And so the vicious cycle continues. It is critically important to understand that when suppressed symptoms are redirected deeper into the system, they often re-emerge as more threatening physical illness. What most patients and physicians don't realize is that they can alternately manifest as mental-emotional symptoms. Therefore, since the primary strategy of mainstream medicine is symptom suppression, it unintentionally winds up being the biggest contributing factor to the increasing prevalence of mental illness. We are the most drug-dependent nation on the planet, and it is no coincidence that we have such frightening levels of psychiatric illness. As a simple example, consider for a moment a child given ADHD drugs to make him compliant in the classroom, who subsequently experiences suicidal ideation as a so-called side effect. (5) This is not so much a side effect as it is a suppressive effect. Although suppression is rarely acknowledged by mainstream medicine, it is a ubiquitous phenomenon. Drugs used to control Parkinson's disease, for example, are known to cause a variety of mental-emotional problems including psychosis. When neurologic symptoms like tremors are suppressed by these drugs, the energy that caused them can be redirected deeper into the system where they manifest as psychiatric disturbances. Believe it or not, antibiotics, too, are capable of inducing a wide array of psychiatric symptoms including sleep disturbances, anxiety, depression, and even hallucinations. We rarely hear of this potentiality in spite of the millions of prescriptions dispensed annually to both children and adults. This is the basis of the condition referred to as PANDAS (pediatric autoimmune neuropsychiatric disorders associated with streptococcal infections). Even those in holistic circles are mistaken when they blame the streptococcal organism for the mood disturbances, vocal tics, and compulsive behaviors that suddenly appear in children who have taken antibiotics. What most don't realize is that when antibiotics suppress the infections that they are intended to target, the life force may be forced to compensate by displacing the illness onto the mental-emotional plane. With each successive dose of symptom-suppressing drug taken, America unwittingly seals its fate. The life force is left with no other option but to manifest illness deeper on the mental-emotional plane. (6) Our pill-popping proclivity and general intolerance for suffering leads inevitably to more suffering. This poorly understood principle of mind-body mechanics must not be underestimated. It is the source of a great deal of deep-seated mental-emotional dysfunction. Suppressive medical treatment is the primary maintaining factor for a whole spectrum of chronic mental health problems including depression, anxiety disorders, neuroses, obsessions, attention disorders, narcissistic tendencies, aggressive behavior, and even suicidal thinking. The deeper the illness penetrates into the collective mind-body of the general public, the more we see signs of fight or flight. We are a terrorized and terrified nation with a hair-trigger temper that looks to vent its aggression on the nearest scapegoat. When there is no external enemy left to blame, we turn the destructive impulse on ourselves, thereby intensifying the descent into madness. As a consequence, America is more polarized than ever before. We divide ourselves into opposing camps on all issues; liberals and conservatives battle over gun rights, gay rights, civil rights, war and peace, science and religion, Wall Street and Main Street—as if there can be no middle ground. The rising tide of fear and hate is unmistakable. Consumer culture—itself a reflection of the fickle, impatient, and immature condition of the American psyche—is convinced that it can buy and sell health in the form of pills. We have fallen for the deception that medical suppression is an acceptable substitute for genuine healing, and the repercussions have been devastating. We are a deeply sick society at war with itself. There is a reason that America seems crazier than ever before—because it is. The "terror" that has been magnified in the mind of the average American serves to breed mistrust of others, intolerance for differences, and the projection of our personal, internal issues onto imaginary, external enemies. The underlying source of our collective craziness is a function of our fear-based perspective and the medical strategies that contribute to it and maintain it. On the political front, the enemy takes the form of terrorists, the indigent, minorities, non-heterosexuals, non-Christians, and illegal "aliens." On the medical front, it manifests as a fear of contagion. Ebola, swine flu, bird flu, meningitis, anthrax, Mad Cow disease, SARS, E. Coli, West Nile virus—the list is endless. Measles, once a relatively common immunological milestone, has suddenly become the scourge de jour. We quake in our shoes at the thought of these unwanted, external invaders that threaten our cozy lifestyles. A frightened populace is notoriously susceptible to suggestion, and there is no shortage of unsavory influences willing to exploit that fact. The annual flu scare is a perfect example of media exploitation by Medical Big Brother who has forged a Faustian bargain with corporate biotech, which, in turn, is more than willing to use the populace as scientific guinea pigs. And so we meekly submit to heightened security measures, x-raying our bodies and checking our shoes at airports, tolerating surveillance of our digital footprints, and casting our votes to bankrupt the nation in the name of homeland security. The fear factor is so great that we allow our children to be injected with an ever-expanding list of unproven vaccines, while we ignore mounting evidence that points to the exponentially rising levels of both acute and chronic disease that they are responsible for creating. One can only hope that we will come to realize that the true risks far outweigh the psychological benefit—a shallow and impotent semblance of safety and security. The reactionary mindset of America is a by-product of a sick psyche that sees all things in black and white, that sees opposition where there could be cooperation, polarity where there could be complementarity. Even if all the imagined bogeymen, terrorist threats, and scary mutated germs were able to be subdued once and for all, the problem would not cease, because the illness remains. We are a hysteria-prone country, unwilling to take responsibility for ourselves, and more than willing to rely on short-term, superficial solutions. The problem is that suppression only creates the illusion of healing. In actuality, it leads to the magnification of the underlying causes of disease. This destructive mix of cultural violence and medical suppression is compounded by a third critical factor, which makes it difficult to imagine how we can ever extricate ourselves from our downward spiral into psychic chaos. That factor is modern science itself, or at least that which passes for science. Contemporary science, it turns out, is subject to the same cultural distortions as all other issues. To those embroiled in the culture wars, science is either all right or all wrong. We have reached a point where you are either a science believer or a science denier, with no room for nuance in between. Our collective psychic split causes us to conceptualize most issues as a choice between polar opposites. Those who question the wisdom or safety of vaccines, for example, must therefore be anti-science. Although such a notion is patently absurd, it is used, nevertheless, by many to discredit those who do not agree with their views—as if we are no longer allowed to question the claims of science. But the culture war between science and religion cuts both ways; it is a consequence of extremist beliefs, not just on the part of religion, but on both sides of the equation. Since we live in a scientific age, few stop to question the correctness of scientific beliefs. In earlier times, it was religious authority that censored new scientific ideas. Nowadays, we are witnessing the reverse. Our culture is so heavily influenced by scientific thought that we rarely stop to consider that our scientific perspective may serve as a form of bias that prevents us from attaining an impartial viewpoint. Even though science, when properly conducted, has no business weighing in on issues of belief and values, it does so anyway. This type of extremist science—more accurately termed scientism (8)—has had the net effect of eroding our moral judgment, our spiritual intuition, and our confidence in religious wisdom that has accumulated since the dawn of time. Science, which claims to be value neutral, presumes to tell us what our values should be. Furthermore, science deliberately sets out to exclude the subjective on the grounds that it is not trustworthy, in essence making the claim that nothing but the facts as defined by science can be trusted. In other words, scientism teaches us not to trust our own experience. Take away basic values, moral judgment, and common sense based on human experience, add to that the relentless violence and systematic medical suppression that we inflict upon ourselves, and the result is the lost soul that is the American psyche. When we employ scientific tunnel vision without the emotional maturity and spiritual wisdom that comes from a balanced perspective, it makes righting the ship a truly difficult task. On the bright side, there is a discernable and comprehensible explanation for this disturbing state of affairs. If we can understand the root causes, there is the possibility that it can be remedied. Despite the admittedly pessimistic tone of this article, I do believe that it is not too late to reverse the trend, but it will require a revolution in thinking. It will involve a turning away from violence as a way of life, toward healthier methods of conflict resolution. It will involve self-education regarding the nature of symptom suppression and its consequences, and the assimilation of more holistic approaches to health that can actually lead to long-term healing. Society must become cognizant of the very real differences between genuine science that is aware of its limitations and respectful of legitimate boundaries, and the malignant scourge of scientism, which is an ideological form of science with imperialist designs on sole ownership of the truth. Scientism goes out of its way to discredit new ideas that don't conform to its narrow worldview. The hallmark of scientism is that it has no tolerance for debate and, like any fundamentalist religion, always believes that is in the right, simply by virtue of the fact that it claims to be science. This, of course, is ludicrous. The cultural sickness that pits neighbor against neighbor is very real, and it is on the rise. The solution is simple, but its implementation is complex. By acknowledging the excessive violence that pollutes society and finding ways to curtail it, by adopting non-suppressive methods of healing, and by understanding the differences between reasonable science and unreasonable scientism, we can take concrete steps to heal the sick American psyche.